Please note that the content of this book primarily consists of articles available from Wikipedia or other free sources online. 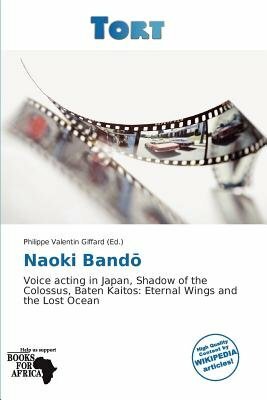 Naoki Band (Band Naoki?, born December 12, 1957 in Asahikawa, Hokkaido), often credited as Naoki Bandou, is a Japanese voice actor who has worked on a few videogame titles and anime series. He provides the voice of Lord Emon in Shadow of the Colossus, and the voice of Larikush in Baten Kaitos. Some of his anime voiceovers include the role of Gat in Naruto. He is the voice of Splatter in the Japanese version of the film Thomas and the Magic Railroad. Anime voice roles: Armored Trooper VOTOMS: The Heretic Saint - Elder C (ep 3); Officer (ep 5); Pope Theo VIII.